Mehbooba said Shardapeeth in Pak-administered Kashmir is an outstanding relic of Kashmir's glowing history. SRINAGAR: With India and Pakistan opening the Kartarpur corridor for Sikh pilgrims, PDP chief and former J&K Chief Minister Mehbooba Mufti on Saturday wrote to Prime Minister Narendra Modi to seek opening of the Shardapeeth pilgrimage site of Kashmiri Pandits across the Line of Control (LoC). "I heartily greet you on the opening of Kartarpur corridor with Pakistan to facilitate the Sikh pilgrims visit to holy places in that country. The opening of Kartarpur has presented us with another window of opportunity," Mehbooba wrote in the letter addressed to PM Modi. She said the initiatives taken by the previous Central governments have resulted in opening of routes to Muzaffarabad and Rawlakot in the Pakistan occupied Kashmir (PoK). "Though their full potential has yet to be realised, the opening of Kartarpur has presented us with another window of opportunity." Mehbooba urged the Prime Minister to open the route to Shardapeeth shrine for Kashmiri Pandits. Shardapeeth temple is one of the holiest religious shrines of Kashmiri Pandits and located in Shardi village, about 160 kilometres from Muzaffarabad, capital of PoK. "Shardapeeth in PoK is an outstanding relic of Kashmir's glowing history. Though it generally connects people here with their cultural and intellectual roots, for Kashmiri Pandits it is an important place of pilgrimage which was frequented by them till the Independence. Their urge to open it to pilgrimage has been projected ever since the reopening of Srinagar Muzaffarabad road," she wrote. Mehbooba said Kartarpur opening has encouraged the Pandit community to see a possibility of the pilgrimage to Shardapeeth in the same spirit as that of Sikhs.
" Our belief is strengthened by the reported offer of Pakistan Prime Minister Imran Khan to allow it along with pilgrimage to Katas Raj," she said. Mehbooba said though it would be a measure specific to Pandit community, but there is no doubt that it would be welcomed by every citizen of the state. "It will considerably help in addressing the feeling of despondency in a major section of population. 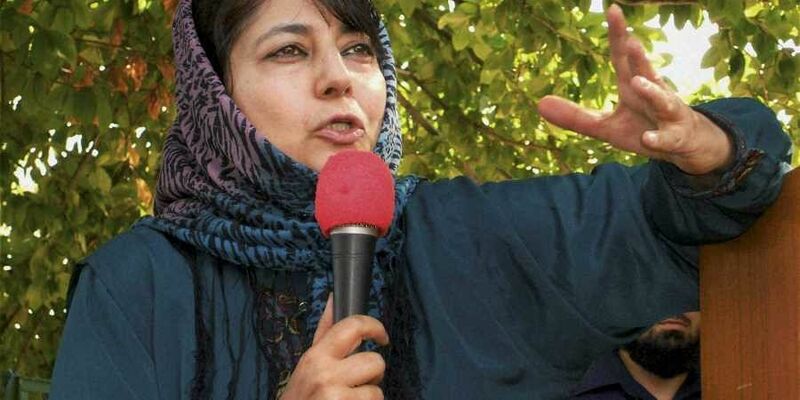 It will fit very well in the vision of pulling J&K out of its miseries through diplomatic and political means away from death and destruction we witness with unending regularity," she added. The Pandits groups have been demanding reopening of the Shardapeeth route so that they can travel and pay obeisance at the revered temple. The opening of Shardapeeth route is their long pending demand.